APPLICATION HAS BEEN ACCEPTED AS OF 3/5/19. BACK ON MARKET after updating. 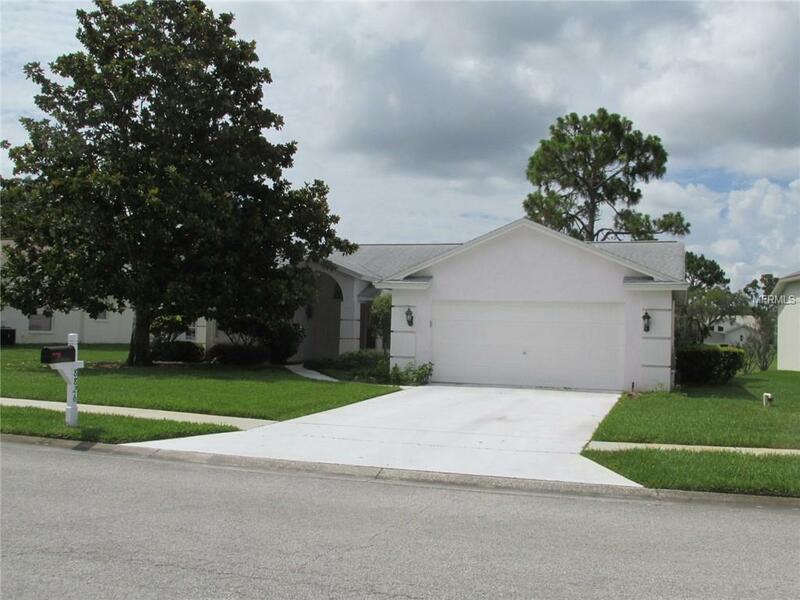 Built in 1991 & featuring a great room floor plan that is open & appealing. All furnishings are gone. Floors are now vinyl plank & carpeting is just in 2 bedrooms. Interior was painted, light fixtures have been updated, & the kitchen had a face lift to. If you like to Golf or want to live the Florida lifestyle then this rental is for you. House overlooks the 17th hole of the golf course. Floor to ceiling mirrors make the living room look twice its size. Third bedroom would also make a great den/office. Full size washer & dryer set included but not being warranted by landlord. The closet space is plentiful too. Sorry ...NO PETS.